Members of the Russian biker group Night Wolves have completed their historic motor rally to mark the 70th anniversary of Victory over Nazi Germany; the action ended with the bikers riding through central Berlin on Saturday. 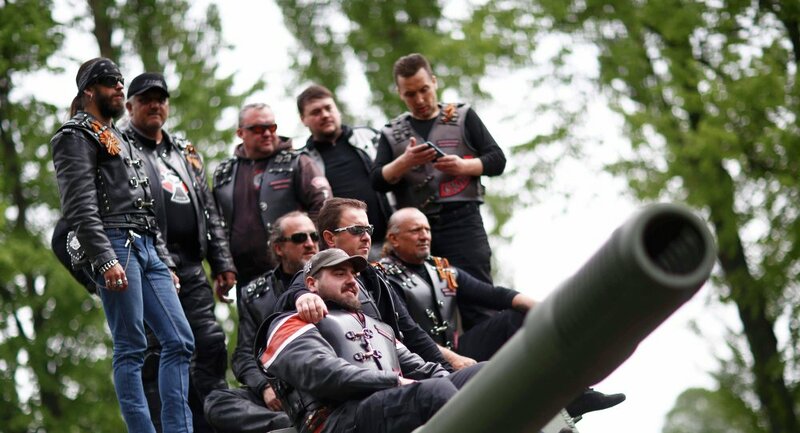 A historic motor rally by Russia's Night Wolves bikers to celebrate the 70th anniversary of the end of World War II has wrapped up in Berlin, where the bikers rode through the center of the German capital, Russia's RIA Novosti news agency reported. The completion of the Roads of Victory motor rally was announced by the rally's head Andrey Bobrovsky in the Night Wolves' blog in the LiveJournal social networking service. "Today, on May 9, 2015, a group of Russian bikers, despite adversity, are completing their legendary motor rally 'Roads of Victory' in the German capital Berlin with a triumphant parade through the main streets of the city," Bobrovsky said. "Congratulations to all the participants of the motor rally! You went into the history books and glorified the spiritual strength and invincibility of Russian Man. Along with our Victory, Russia gained impetus and everyone can follow our example to push themselves beyond their limits and accomplish new challenges," he added. The remarks came three days after the Berlin Administrative Court lifted Germany's entry ban on the Night Wolves. The court noted that it didn't have sufficient evidence to prove that the bikers "pose a threat to public order, domestic security or international relations." The route of the motor rally, which kicked off on April 25, included the cities of Moscow, Minsk, Brest, Wroclaw, Brno, Bratislava, Vienna, Munich, Prague, Torgau, Karlshorst and Berlin. May 9 saw Russia's biggest ever military march-past on Moscow's Red Square to pay tribute to the 70th anniversary of Nazi Germany's defeat in World War II.